India’s sale to Vietnam of a short-range, supersonic anti-ship missile has opened a new conflict in an already tense situation with China, an analyst said. Vietnam will receive the BrahMos which is considered one of the most effective and lethal anti-ship missiles in the world, with speeds reaching Mach 2.8 to 3.0. “About half of China’s worldwide arms exports go to one country — Pakistan, for the primary reason of ‘containing India,’ ” said Hoover Institution Fellow and Geostrategy-Direct correspondent Maochun Miles Yu in a Facebook post. 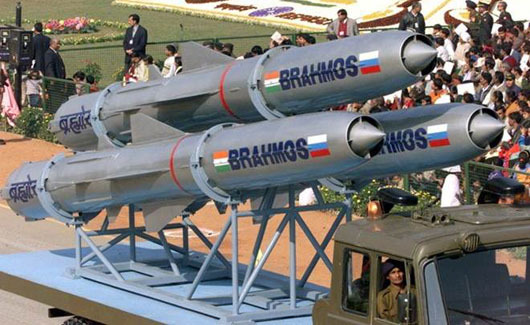 Russia, which co-produces the BrahMos with India, is said to have given its nod of approval on the sale. The BrahMos can be launched from submarines, ships, aircraft or land. It was developed jointly by India’s Defense Research and Development Organization (DRDO) and Russia’s NPO Mashinostroeyenia. Vietnam is said to be looking to use the missile in its Kilo-class submarines. The missile is heavily based on the Russian P-800 Oniks cruise missile and other similar sea-skimming Russian cruise missile technology, Dsouza said. Enhance your tax cut benefits by donating to FreePressFoundation.org. Support WorldTribune and subscribe to Geostrategy-Direct.com. Happy Holidays! A hypersonic version of the missile, the BrahMos-II, is also currently under development with speeds up to Mach 7. It could be ready for testing some time this year, Dsouza said.